None of those statements were first...just Do Not Be Afraid. I am by no stretch of the imagination a theological scholar. I tremble at speaking b/c the weight of that responsibility of always doing honor and grace to the words of the Almighty God...pressure people. Anyways, I do though have thoughts...why? Why those first words...I have to think it's because God knows us. He knows us well. He knows our first reaction with life, news, change, loss of control, or just loss...brings fear. And fear usually comes in a full house of spades (too many card references there?). He knew His angels had to speak in the first moment of Mary seeing Gabriel and He knew He had to speak to Mary's heart...Do Not Be Afraid. Our fear is so loud to Jesus. Our fear can be crippling. Oh I have fear...the ugly, not trusting Jesus, overwhelming kind of fear. I have to fight it. Every moment. Fear to fly. Fear to let others take my kids anywhere. Fear of our world (I can hear my mamma's voice sayin' "this world is goin' to hell in a handbasket."). Fear of change. 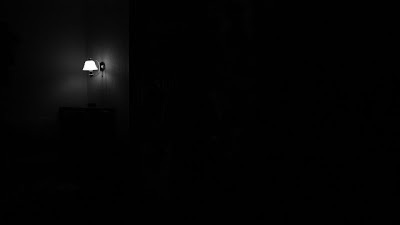 Fear of not being known. Fear of being me. Fear of failing. Fear of loss. Fear of pain. Fear of falling a part. Fear of my kids hurting. Fear of dying. Fear of what others think. FEAR. Crippling fear. 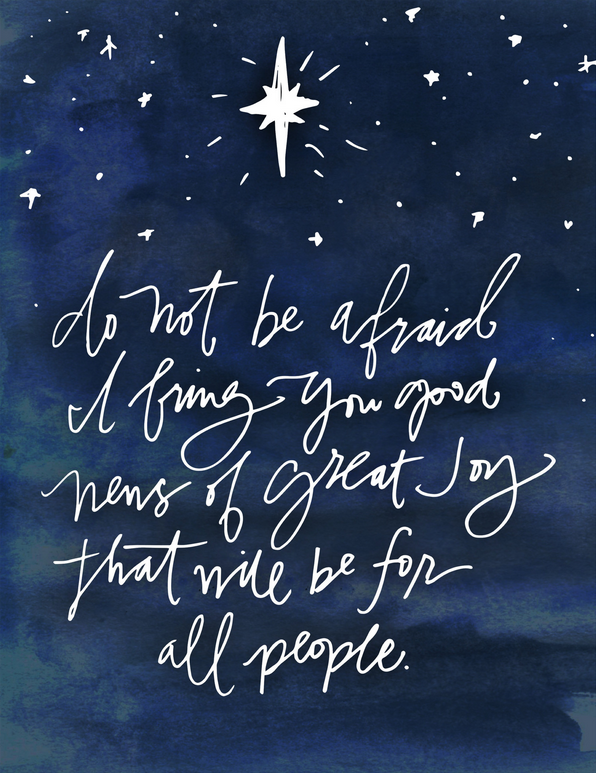 But even as God was announcing the Savior, His son to the world to sweet-servant hearted-pondered all these things in her heart-Mary...He had to tell her, "Do Not Be Afraid." Turn your heart and eyes to our refuge...our peace...our light...our grace...our love...our everything. He speaks so quickly to where He knew our heart would go...to Mary...but still today to us. His first line to our unknown in our life...do not be afraid. After our fear, let's run with His message...not just more fear. I love Christmas. I love the parties (wrote a post on that HERE). I love the cards (yep posted that here!). I love the cookies. I love the family movies. I love the lights. I love the trees. I love Christmas. But is it just me or does it also feel like Christmas brings tears to the forefront of my eyes so very quickly...like I could cry if you said Japan...or KFC. (weird connection. I heard on the radio as I was driving with all 4 littles buckled in their cage carseat to Target to get more cereal and the radio person said that in Japan the traditional Christmas meal is Kentucky Fried Chicken. WHAT? I was mystified. On Christmas day he said you actually have to have reservations for KFC. So odd...but that's where those 2 words came from in my odd brain). Back on point...Christmas is so fun. Christmas is so full of blessings. Christmas is a time to reconnect to the Reason of all of this crazy world. But Christmas can also be hard. Our walls are full of giggles right now with our little zoo family. But yet my heart is so soft right now...like literally marshmallow fluff. Thinking of buying for a little 7 year old boy who has nothing and showing up just one day a year to bring him shoes and a meal doesn't feel like "Christmas." Thinking of husbands and wives not holding hands anymore this season. Thinking of how we have so much but the world makes me still long for more junk...stuff. Meaningless stuff. The tears are big, longing for heaven type tears. Hurt. Sadness. Conviction. I don't know how to process all the Christmas emotions...there is so much. How to go extreme in our focus of Jesus but enjoying Santa's pictures at Bass Pro...how do we do this well? Each day we have been reading a verse for our advent time with our kiddos. We always re-read what we have learned because everyone knows with littles ones it's small bits of information and repeat for their little hearts to grasp it...and my take away is this...how do we do it well? How do we do it well? We remember and long for Jesus. I fail so often. I fail in my tone with my littles. I fail when I just want to pick me over my hubby. I fail when I judge someone in my heart. I fail when I want earthly junk more than heaven, my home. I fail...a lot. Oh but Christmas...Oh to think of that little baby...a real life baby all snug in Mary's arms and heart. A snuggly tiny baby...who is my Wonderful Counselor, Mighty Savior and unquestionable Sovereign God. I open the door each day and tiptoe run to my mailbox. It's usually around 4 pm after I have changed 2 diapers and all 4 littles are awake and eating a snack of some sort. The smallest little is usually crawling on the floor where I have tossed cheerios for her to scavenge. I reach the mailbox with excitement in hopes of an actual letter. Sometimes sealed with special Christmas stamps. Sometimes address labels with snowmen. It feels like tradition. It feels vintage and "old school." It feels like a Christmas card. And my heart soars. Some of you may disagree with this post. I know they take more money and there are times when the cards just can't be made. But goodness I love them. I want to fight for them. I don't care if they are from Staples or fancy-schmancy Tiny Prints or Minted. I just love them. Each card is covered with fall trees or winter mountains or just a picture where everyone is somewhat looking and maybe smiling. It floods my heart with memories of that person. It makes me see Jesus in them as I pray they still hold His hand each day. It just makes me feel...CONNECTED. And isn't that something we all want. To CONNECT. To know and be known. And for some crazy reason a Christmas card makes me feel that. I don't think through the lense of "oh they look perfect so their life must be perfect." No offense to anyone that I get a Christmas card from but I know that to not be true. Why? Because I am sending them too...and guess what my kids are all smiling in our pic but our life is messy, crazy, full (of wrestling matches, dolls and poopy diapers). It's imperfect and I LOVE THAT. I want the imperfect. 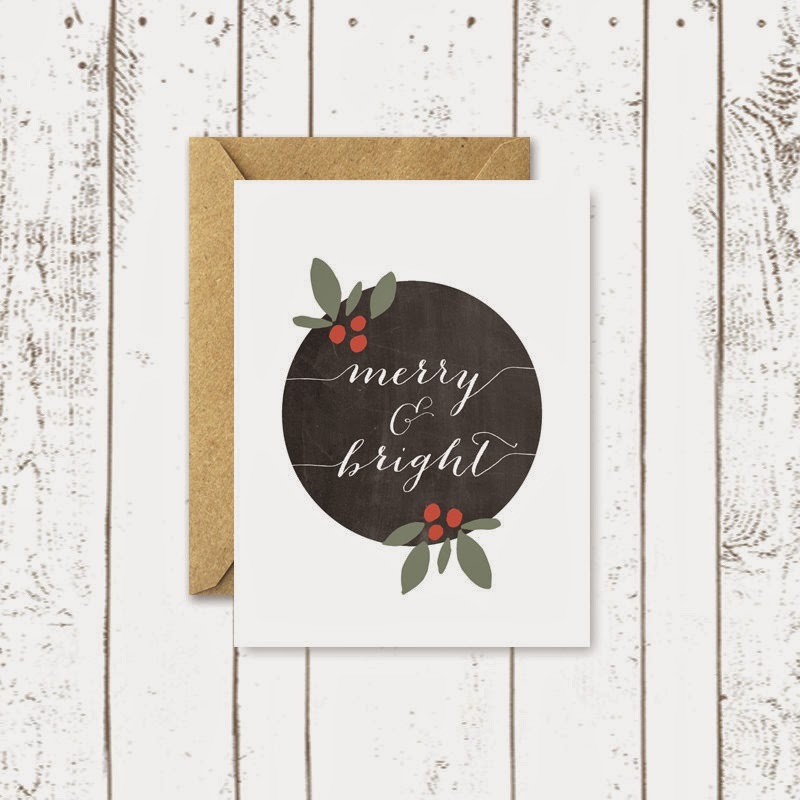 I want in the moments of seeing a Christmas card to praise the Lord for my imperfect and your imperfect...why...because it makes us all remember we need a Savior for all the imperfectness. So Christmas cards...let's look at them different. Let's see toddlers that are cray-cray but so cute in those pigtails and bow ties (you will most likely see all my 3 ladies in pigtails but will never see the little man in a bow tie...more like camo overalls...yep, mini-daddy that one.). Let's see mom's that rejoiced and felt blessed as she clicked to order those Christmas cards even though it had been a hard day at least she could check off "order Christmas cards" off her to-do list that is always growing. Let's see marriages that are still together another year and pray for those couples to cover their marriage from the enemy which wants nothing more to make next years card without daddy in the picture. Let's pray for ministries and businesses that those men/women/dads/moms that they labor for and for Jesus to be made known in those hallways, office cubes or flights across the nation. Let's treasure those cards...because those cards hold our people. Our people that we love and maybe miss due to distance. Our people that we are proud of and maybe don't say that often enough. Our people that we think of but maybe their picture will make us pray for the newborn in the picture or their marriage since it's their first christmas married...whatever the picture...treasure them. So Christmas cards I love you. I treasure you. I flip through you all year. I pray over you. I will fight for you. Kanakuk...we send crazy Christmas cards! Well I just don't get it. I don't get how this season is all "I'm so busy, it's so hectic...ugg..."
I'm all "I love Christmas, bring on the desserts, I'm going to fix my hair for this party, who doesn't love shopping!" I love Christmas...like truly. I love the additions to the schedule with parties and cookie exchanges. I love dressing up and singing Christmas carols. I love shopping for the perfect gift for someone you love and care for at the best deal possible. I love it. One of my favorites of all the season is the Kanakuk Christmas Party. I don't just say that b/c this is a kamp blog. I truly love it. Everyone comes. It's at the beautiful and cozy Keeter Center at College of the Ozarks. We have delicious food (yes I had to helpings of their prime rib...y'all...you don't understand how delicious it is? ), laugh at the amazing Branson talent (Matt Gumm this year! From Clay Cooper show), got to mingle with people who are FAMILY, and then get moved to tears by the president of Kanakuk Land who is also our friend. WHAT? Is this a dream? Last night Shay and I just felt full...our bellies were full but more importantly our hearts were full. We felt full to be in a community like this. Full that we are still stretched in our jobs to be more like Jesus but also affirmed each day in doing so. Full in our hearts to call the President and his "homecoming queen" our friends and mentors. Full to tear up as Joe shared of the Lord in this place and the gospel going forth b/c of so many folks behind the scenes in the K-world. Just full...full of Jesus. Full of love because of Jesus. Full of hope as a mechanic from kamp surprisingly got called on to come play piano for all of us and it made me think, "this will be the music in heaven someday." One of the best pieces of advice came from...well, I'm not sure...either past K1 directors Jennifer Farley or Callie Dolloff...they told me a kamp momma (you all truly have the best wisdom) shared with them that she always carries a fun game in her purse. And no, not your iPhone. An actual game. Cards or real buttons. She said she did it because she realized that sometimes her and her hubby weren't laughing enough together. So as they wait for dinner or sit and drink coffee together...they laugh. They game. Staff...you can carry one around too in your hipster Kavu bags or what have you. Make your friends take a study break (that may last for hours). Teenagers do the same with your friends at lunch or Friday night Game Nights! It's cool...I promise. This post is not sponsored for Spot It!...no cash or perks received. Betsy Boyce (full time Kanakuk Institute gal and K2 leadership friend) introduced me to it this summer and it's awesome. It's easy and intense and silly and fun. I would go around during lunch every once in a while and whisper..."Game on after lunch" to the leadership team and we would all meet in the leadership office and play a round. We ALWAYS had a consequence (ie: do a skit by yourself at backwoods, talk british all day, speak in 3rd person for our staff meeting, etc) for the person that lost! I would play with cabins of kampers or my staff small group. It is for 2-8 players and did I mention that it is so easy to play. I'm sure there are literally hundreds more but hopefully this is a great start list. Let's be families and husband/wives that we don't just sit at a table with phones out (seriously it's my biggest pet peeve! Put them down!) but that we are engaged and interacting. Don't even bring your phones (okay, I did put one phone game on the list but it's interactive people!) and pull out your Mary Poppins' bag and watch in awe as laughter starts and memories begin! Side note...sometimes as a mom I do feel like my bag truly is a Mary Poppins bag...who knows what in there? Today we are all cooped up inside as Branson quickly shuts down life when old Mister Winter comes to town. I kind of don't mind...pjs, lazy mornings, snuggles and lots of play time. So with December 1st comes for our family the 24 fun filled days of our Advent. I started this when little #1 was 3 years old. It's been something fun and easy and not stressful. 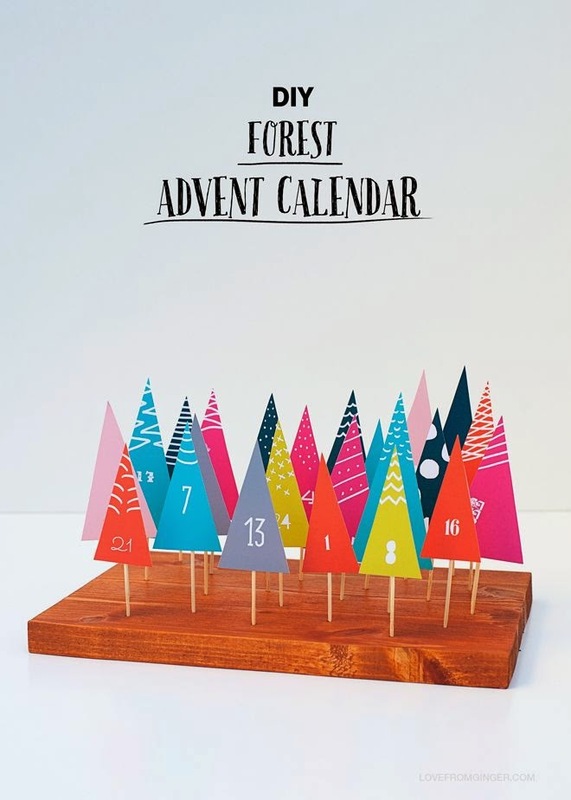 Please don't let an Advent calendar stress you out. I just search, pin and print. Then I add small, not expensive little activities to each day with a verse that we read together each day as a family that always brings conversation of the true meaning of Christmas. I am not a present hater or against Santa. That is one of our days is to go do our annual screaming kids picture with Santa at Bass Pro. They give you a free pic! Love that! Anyways, we are learning any chance we can we want to point the 4 little hearts we have in our home to Jesus...not presents, but Jesus. Not trees, but Jesus. Not cookies, but Jesus. Not Santa, but Jesus. Oh how we all need Jesus. So why do one? It's by no means a requirement. It's just THOUGHTFUL. Oh how I want to be described as thoughtful...but I really have to strive to do so. It's so easy for my thoughts to be geared towards me, what I want, all my to-do lists, my kids' christmas gifts, and the list goes on and on. But as a momma...we have to stop and be thoughtful or our days with our kids slip through our fingers. Who am I kidding I already feel like I blinked once and #1 is 5 years old? I will do anything to slow down life a bit and embrace daily memory makers for my kids...our advent is filled with silly things like dance party to Shake it Off, make a video of us singing carols for their grandparents, late night donut run (late night means like 7:30 pm to our house), and one more dance party with fort building. We also have more serious ones like take food and gifts to our Giving Tree family, watch our Wedding video (our anniversary is this month) as a family, write our missionary friends a letter, color a coloring page (it's the same one each year. Thank you Diane Cooper for this idea). They don't take much effort or money. Just THOUGHTFULNESS. So don't have one yet? It's not too late. 2 years ago I didn't start till December 10th. It's okay! Embrace imperfection (do you see the picture above...we haven't actually put ours together yet.) and do what you can! The Kanakuk Institute did an amazing job with an daily devotional advent calendar. You could just add the activities/memory makers to the back of them once you print them. Shay (my hubs and K1 director) is sending an email with the PDF attached. So check your inbox. If you don't get his email, email me ashley@kanakuk.com and I'll forward it to you. So this is what ours will eventually (hopefully today as our December 1st activity is to put together the advent calendar) look like. So cute and little. I don't need anything huge in our house with 8 little hands all over! I just printed these out, cut, taped a toothpick and wrote out our activities and daily verse on the back. So easy! Okay above is a list of activities and a reading plan if you have the Jesus Storybook Bible for kids. So cute. And again super easy! I must admit I just tried finding it on her blog sight and couldn't find it but I'm sure it's somewhere and I'm just very blonde and sleep deprived. 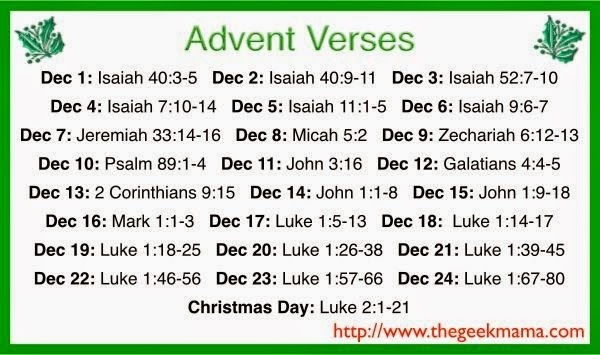 You can find the picture on Pinterest by typing in Advent verses and scrolling down just a bit. This is another great one I found on Pinterest. 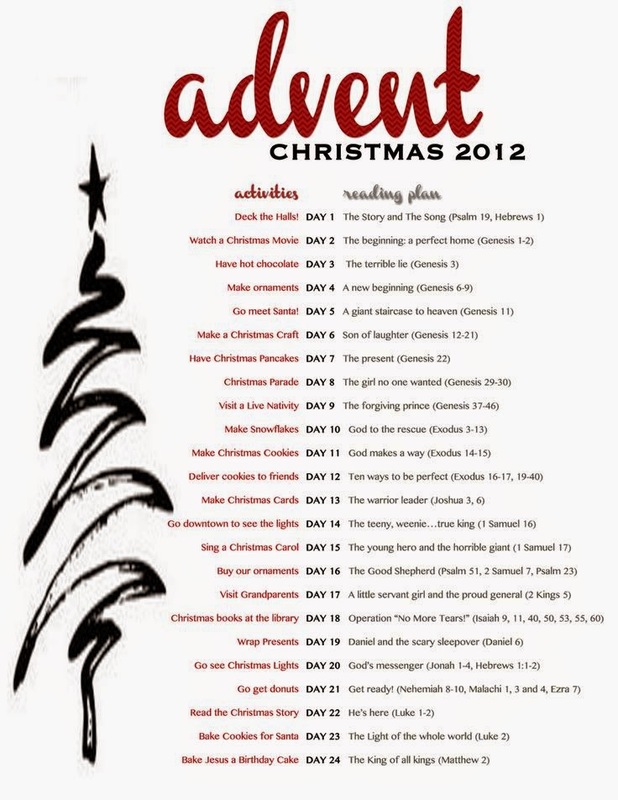 Just search Advent Verses or even free printable advent. Hundreds come up and they range from lots of craftiness required to not-so-much required. One year I used a shoe holder over the door, clothes pins and just circles with numbers. 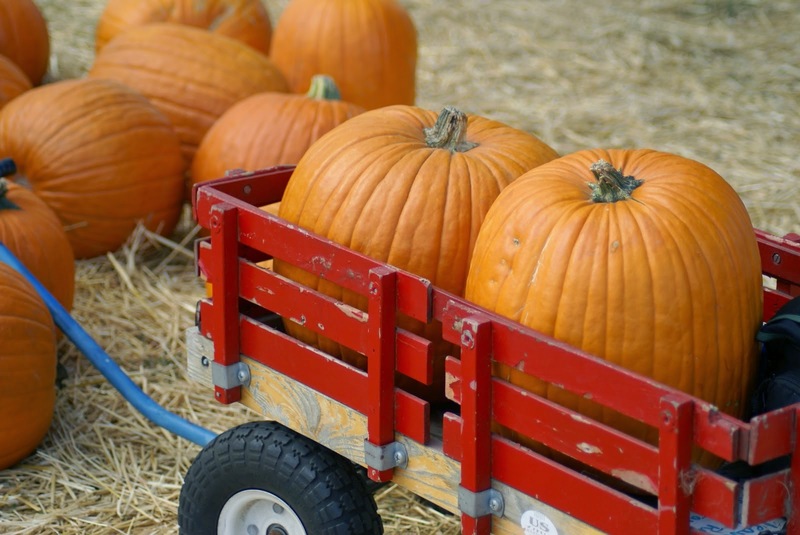 This is an awesome list of activities! So easy and so memorable! Kanakuk is better than the North Pole! I was so sick to my stomach...no I'm not pregnant. I was simply driving one very early morning to yoga and on the radio I hear an ad for the hottest new app. It's amazing and everyone should have it the ad claims. Then it continues to share what the app is...and I am so sick. It's the newest craze I'm sure that I'm just now catching wind of. 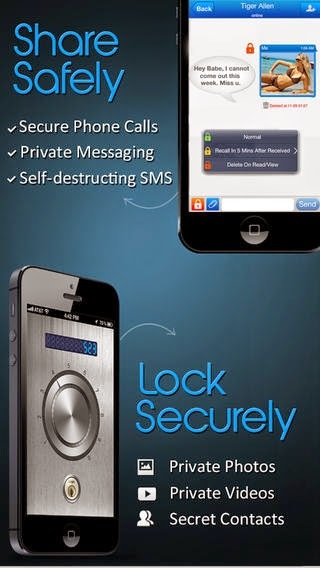 It's an app (and honestly I can't remember the exact name) that basically is for private texting. Texting where you can hide everything...who you are (they give you a fake number to text anonymously to people), self destruct certain texts within seconds (I think much like snapchat), or encrypt certain text/contacts so deeply that no one can get to them on your phone...anyone else sick like I was? What is light? Or maybe I should say WHO is light? Darkness will always be exposed to light. Hidden lives always come to the surface and the internet never really destroys any text, video or photo. I, as a mom and director, can't live in fear of this world of technology...I will not live in fear of it because I know the Sword to which I can fight back with. Staff/Teens: Oh my heart just breaks...breaks for truly how this social media world is pulling at you constantly. Please hear me that if you have this app or other apps because you have this "other" life this is hidden from your parents, friends, church groups or whomever...bring it to the light. There is freedom there...I promise...well actually He promises. Let's live our lives in full light...THE light of Jesus. His light. His love. His grace. His mercy. His heart. His will. His treasure. No Phones at Camp! Woohoo! I was writing tonight. It's a list. A list of things I want to remember...somethings when I'm parenting teens, somethings when I'm a mother-in-law with my kids' spouses and somethings when I have grandchildren...just things. Just a list. I wrote something down that just made my heart pause. Then I read one word I had written....KNOWN. We all want to be known. Known for just being us. I think about my littles and I want to know them. Know their day to day thoughts, their emotions, their favorites of everything and their deepest thoughts...which right now entails choo-choos, princess dress up and snack time. But none the less...I want to know them. If me, as a jacked up, crazy sleep deprived mom of 4 loves my kiddos that much and desires to know their every moment...how much more so does the God that made each hair on their head. As I type this I just pause...mystified by that reality. Do I even grasp it? I'm not sure. I just know it's bigger...more...deeper...and more unconditionally than even a mother's love. Are you known my a God that loves you more than anything...more than past, more than mistakes, more than choices and more than your comprehensible self can understand? I'm 33...almost 34. It's been almost 12 years since I graduated from The University of Arkansas. Go Hogs! In so many ways I feel like it was yesterday...but in most ways it feels like a lifetime ago. For the staff from Kanakuk that read this blog...this is probably mostly for you. You have been on my heart. I think of each of you often...my small groups from summers, the leadership teams, the programs girl that is dear to my heart...I think of college gals often...and pray often. I guess my heart and message is this...BE MORE. Don't hear me wrong right off the bat. Don't do more...or try and be all...or even know more. BE more. Be more of who your Creator made you to be. BE the one that stands out. BE a voice for those that have none. BE Jesus to your classmate that is hungover from the night before. BE okay with just being. It's amazing that college has changed in so many ways, just like high school for that age group. But in so many ways it's exactly the same. We all want to be different but don't want to stick out in those differences. For me, I pray often that your difference would be how you show Jesus, His love, His compassion, His life to every person you interact with...professors, deans, friends, sorority sisters, boys you date and boys you don't date. BE MORE of who He has made you to be. Don't let college be about Patagonia furry jackets, leggings and the newest monogrammed clutch...let it BE MORE. Want to work where you can BE MORE! Click here! I remember growing up and hearing my mom and dad always say, "Nothing good ever happens after midnight." Maybe it was a southern baptist preacher and high school teacher parenting thing. But I remember it. For the most part they are 100% true...especially if you are reading this and you are a beautiful teenage sweetie and your hormonal boyfriend wants to hang out till 3 am...this statement is very true for you. Whatever the reason...AMAZING, Magical things can happen after midnight...What if we captured these moments? It's amazing as much as I have been in the little, newborn stage in the past 5 years of life I already am forgetting...forgetting their breath on my chest. Forgetting who woke up the most or was the hungriest. Who switched day time and night time around (that was a hard season) and who slept through the night first. I'm forgetting...and I don't want to. So hold on my sweet mommy...hold on to little coo's. Rock peacefully while you nurse knowing that you will make it...sleep deprived and all. You will...why...because God loves these moments. Think about it. It's still. It's quiet. It's total surrender to another life. Hmmm...I wonder if God knows anything about that? Caring about someone so much you would do anything, anything for them. Feeling so much love for that little being that your heart may explode. Hmm...I wonder if He knows anything about that at all? You can do this mommy world! You can...remember their breath. remember their nails that can scratch your neck skin like no other even though their are no nails on their fingers. remember their bald heads. remember their chubby rolls or chicken legs. just remember...not with your phone, but with your heart. Teens: go make them and eat for a relatively healthy snack and energy boost! Moms: go make them and involve the teens/kids/babies wrapped in swaddling wraps layered on you (just don't drip hot melted chocolate on baby head). Yep, that's it. All I do is melt a handful or a heapful of the dark chocolate in a microwave safe bowl. I melt by doing 20 seconds > Stir, repeat...you don't want to burn your chocolate. Then use a spoon to spread onto wax paper (or if you don't have any use foil...I love how there is no prettiness to my pictures. That's what we all need...a little bit of reality in all the beautiful Pinterest pictures of pans, gourds and everything else for that matter...no professional picture...just a mom during naps trying to blog). Then place some trail mix into the chocolate. I do an almond, craisin, golden raisin and then a handful of seeds for mine. Place in fridge to let them set and harden. It's so yummy! I may have eaten the 1st batch all by myself...at least I did yoga that day. They counteract each other...right? Again, my make-this-photo-beautiful skills are just over the top. I mean a pyrex lid and foil...don't covet my abilities friends...it takes time. Hahahahahaha! Enjoy! Have great weekends friends, mommies, little ones and staff! We eat cake for breakfast: come to camp! It's funny when you blog and you think about 56.4 things to blog about and other days it's just 1 thing. Just one thing you want to type...express, encourage, or just write your heart. That's today for me...just my heart. This summer would have been my 16th summer at K2. I was such a bonehead when I got hired in college. Our staff now is so incredible but it literally is an act of Jesus that I ever got a call from Kanakuk. 16 summers of teens...being immersed into their lives, hearing all the good-the bad-the hard-the sad-the horrific-and everything in between, just learning so much from them. Some moments filing them under "remember to never do this with my kids when they are teens." Some moments as I watch the rare gal that still has an innocence and genuine spirit to her and thinking..."go talk to her and see what her parents did." Always learning in those 16 years...always. I am in a little season on life...little hearts, little toes, little hearts. But my summers were full of big kids, big problems, big dreams and big decisions. K1 will fill my heart just like K2 did...but I am pretty sure that K2 and teenage ministry will always be there. To sit down with a teenage girl that is so desperate for Jesus and for Jesus to use a goofy director of a summer kamp...yep, that will be missed. So enough of the missing it...why am I blogging about it? So many avenues to go with this...but in summation of whether you are a mom of teens, a discipler of teens (all K2 staff...THAT'S YOU! ), teenage ministry full time or just volunteer for teen retreats...don't lose hope in them! EVER. They need to be believed in. They need hope and love and OUR TIME. They need our face, not face time with their phone. They need hugs, not likes to their instagram accounts. They need truth, not more whatevers. They need the unconditional, ever powerful unending grace and love from a Savior that created them and has a wonderful, beautiful story written just for them. Teenagers...come hang out here for your summer! So Why? Why is never ending laundry so so good for me...because I have to see Jesus in the mundane of life. The routine, the scheduled, the cycle of life...where is Jesus there? I think about women on mission in Africa (why is it always Africa...), college students weekend retreats for Passion and more, small business owners that are women who navigate it all...they must see Jesus more in their life. What a joke to the Lord? How I limit Him? Laundry is good for me because as I sit in a quiet house most times folding the 3 basket my soul feels His peace. My heart senses my calling right now and I'm at rest. I breathe deep as I know faithfulness and steadfastness are qualities deepening in my soul during these years. So laundry...I hope it doesn't end...because I see Jesus in each basket. What feels mundane in your life? Do you believe Jesus is there, even in the small of your life? 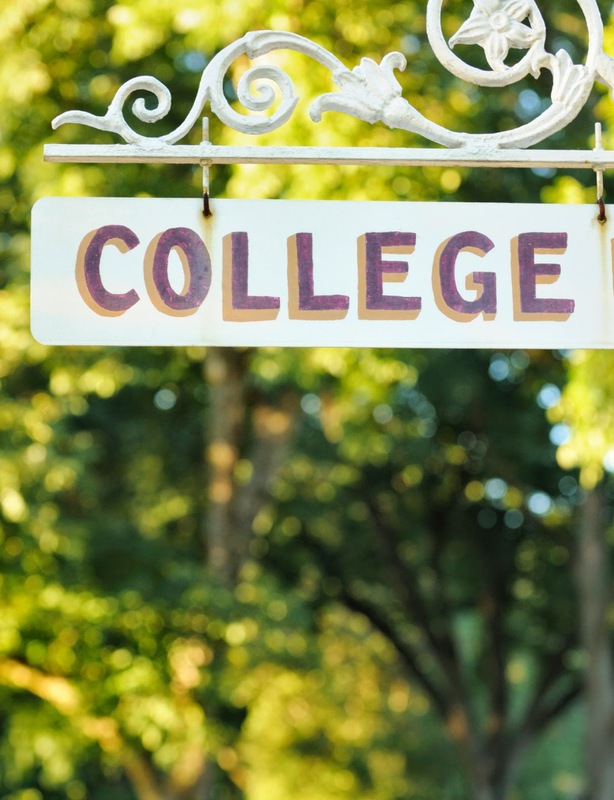 * College staff and teenage girls: send this link of a blog post to young moms you babysit for or know...older sisters or your mentor that has young ones. Add a note that you see Jesus in their life...it will literally make their day! Hey Moms, Send your kiddos to KANAKUK! Naive? Maybe. Crazy? Totally. Serious? Yes and No. What needs to be simplified in your life? 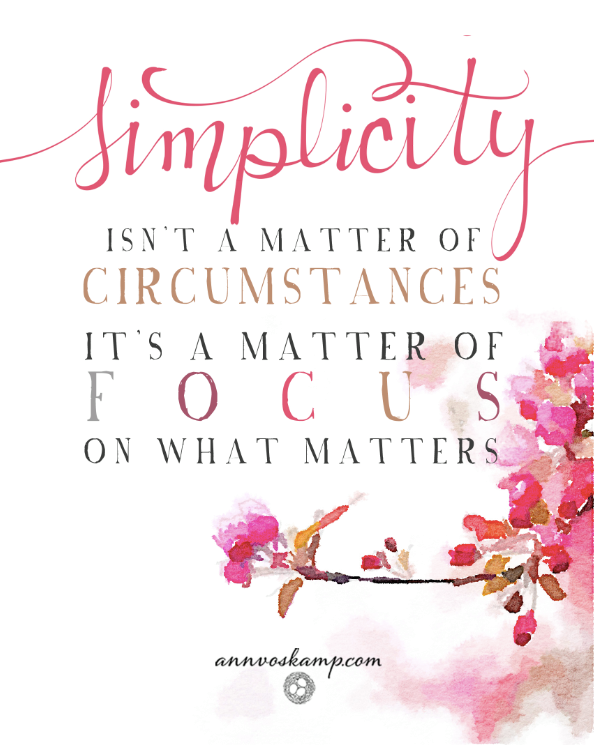 Focus on the simplistic...the friendships, the moments, the laughter, and even the chaos at times. Seriously, come to the most wonderful place ever! Kanakuk! Oh the joys of minivans. Let me be the first to say I LOVE OUR SWAGGER WAGON! Seriously I love it. I was never that girl totally opposed, or even slighlty opposed, to the life of minivans. Minivans can say a lot about your life...what matters, what state it's in and probably so much more. Good things minivans can't talk...oh the stories they would tell. So let's get real...here is my minivan. It honestly shows my heart and life right now. It's a bit in disarray but yet perfectly imperfect all at the same time. It shows that the son, referred to as the beast, never AND I MEAN NEVER keeps shoes on. It tells you Belle love dolls and taking care of little ones. Books are devoured in our house...our firstborn loves the adventures of Ladybug Girl and Bumblebee Boy! (Thank you free books from Dolly Parton!). It also shows you we are never without snacks and sippy cups. And funny enough it shows my peaceful space of yoga, the blue mat in the corner. Yep, I'm a yoga girl! I'm still new. It's a splurge for our family but the hunter (my husband) says it's all worth it b/c I love it so much! I do! It's an hour where I get told what to do, sweat like I just pounded the pavement for 10 miles, and stretch all the stress away. I pray or try and think about nothing or just try and do the crazy move the teacher is doing. No plug for you all to do yoga...just showing you my minivan. This is the trunk...my husband is always ready to shoot something. So much camo! Look at your car...what's it say about your heart? BEST SUMMER CAMP EVER! Here! Who knew there are so many inspiring quotes on change...seriously! I feel so inspired just from finding a picture for this post. I kid. So here is the next addition to the "What I Wish I Could Tell My Teenage Self about...". You can find part 1 here, part 2 here, the popular part 3 here and part 4 here. Junior high and high school are years I must admit I squirm to look back on. Mistakes and ego and just loud insecurities. I must admit the thought of my 10 year reunion was not one of glee or nostalgia...more of just awkwardness and still at 33 years old loud insecurities...so not much has changed...ha! 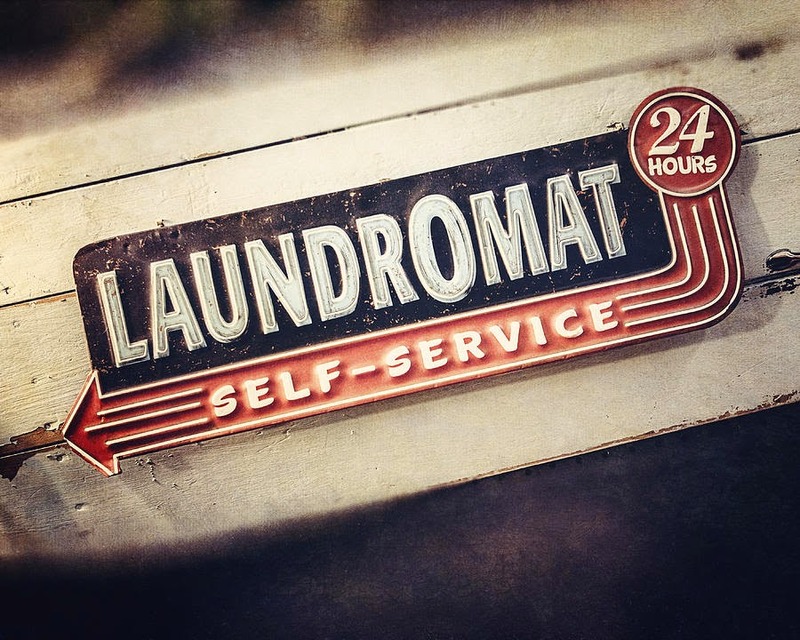 Looking back to those days are what prompts these series of posts...for life in the Robbins' home right now Change is something that is moving like a freight train. So therefore today's post for teens...Change! What I wish I could tell my teenage self about...Change. 1. It happens. Change will come. You will change. Life will change. Others will change. Simple to the point.
" My grace is sufficient for you, for power is perfected in weakness (Ashley paraphrase: perfected in changing life on you.) Most gladly, therefore, I will rather boast about my weaknesses, that the power of Christ may dwell in me." 5. 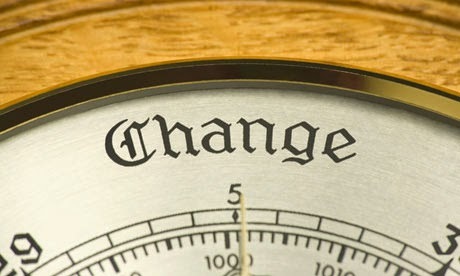 Change...I think I am daily learning that with any change, good or hard, comes with a question. Who do I trust? "Trust in the Lord with all your heart and lean not on your own understanding. In all your ways acknowledge Him and He will make your path straight." Hold hands with Him...He's got this! I sat at the keyboard for like 10 minutes not quite sure how to begin. Shay and I are moving our summer camp director roles from K-2 to K-1. It all started when Kris Cooper and his wife Diane, long time K-1 Directors and dear friends of ours closed a 37-year chapter of ministry at Kanakuk. We can't even begin to imagine filling their shoes and we will miss them! I keep telling myself that moving from K-2 to K-1 is just 1 number difference...just one simple number. But it's not. It's 250 teenage girls staring at me like I'm crazy as I try my best to get some laughs during our Komo Rules talk. It's being the caboose in triathlete every day...literally always last. It's the shaving parties during FOB, the dance parties to Lecrae and the girl pageants when you make over your counselor. It's all those things that make this so much more than just a 1 number move. Shay and I are so excited to be on this crazy twist of a turn in moving to K-1. It's good. It's really good...mostly in part because Jesus is truly at the center of it. 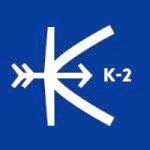 K-2 has been my home for 15 years, 12 years being full-time. Trish, although honors me like a co-director of K-2, is the best executive director in the whole wide world. We know each other so well and I treasure all she has taught me. She saw potential in me...she shouldn't have because I was a mess of a 19 year old. Joe and DJ, oh tears tears...I love your umbrella of love, friendship, laughter, tears and grace. You have poured your guts into Shay and I. You have taught with example and then used words. You have sacrificed so much for us to have the amazing life of being directors for this amazing Kamp that you basically built with your own two hands. Oh our hearts will miss you (I know a rather dramatic statement as we are just going to K-1 for the summer months but you know what I mean!) The summer staff teams...past and present...I have memories, so many memories that could fill all of K-2! So much laughter! I will treasure those. KAMPERS! Some of you "Kampers" are now moms (what??!!!) and wives and business women and church leaders and amazing women...You made me the woman I am in so many ways. Kampers are what make Kanakuk. Kampers are what make K-2 so dear to me. Kampers are what bring life and laughter to the gates. You bring magical moments when you raise your hands in worship. You bring the rawest of hearts in your questions in 1-on-1's. You make Kanakuk…Kamp to me. This little blog will stay somewhat the same as I don't think many 10 year olds read blogs. Maybe I'm wrong...but I guess we are just expanding the gaze. Or maybe narrowing it to just what Jesus puts on my heart. No matter the age or Kamp...just Jesus. That's probably the best idea anyways. THE BEST CAMP EVER! Here! Wow...you know when you have...no. It's been too long. I truly never intended...no. Beginning is so hard. It feels like I have been out of the blog game for years...though according to my last post it's only been a handful of months. It's always akward. It's always a struggle to begin again. I love this blog although I hate social media. I always struggle with the tension in my head and heart of this whole world of the ever-instantly-changing-tech-social-media world we are in. I embrace but with my arms up against it. I spend time on it but always want the time to be a small portion in my life. It's tension...but a healthy one. 1. i pray each day i'm more like Jesus. 2. i fail each day at being like Jesus. 3. i desperately need and love the lavishing of grace and love from Jesus. That's really all you need to know...my heart is His, my home is full of a crazy man of 8 years, 4 little people that are on loan from Jesus to us and a camp that has captured my heart so I work for them b/c i love this camp!